The agricultural sector is the world’s largest single employer. It provides jobs for more than 40% of the global population. It’s also the largest source of income and jobs for poor, rural households. It is, by and large, a successful sector. There have been huge improvements in yields and food production over the past five decades. More cereals have been produced annually during the past 40 years than in any earlier period. It is also predicted that more grain will be harvested in 2017 than in any year in history. This is as a consequence of scientific advances, increased fertiliser use and favourable rainfall patterns. Many of these gains have been felt in Africa. Improved seed varieties, new fertilisers and pesticides, improved credit and market access have all played a role. So have scientific innovations such as improved and more reliable weather prediction, improved drought tolerance and increased resistance to extreme climatic conditions, and cross-breeding for improved efficiency. And yet hundreds of millions of people in Africa are going hungry every day. Globally, 800 million people are categorised as chronically hungry. Around 30% of them – 227 million people – live in Africa. So where is the disconnect between food production and food security in Africa? Why does the continent spend about US $40 billion a year importing food when so many of its own residents are farmers? And how can this situation be changed? At least part of the answer lies with science. There are already several excellent examples of ways in which science has led to dramatic increases in food production and moved farmers in some countries closer to self-sufficiency. A project in Uganda provides an excellent example. Ugandan scientist Robert Mwanga won the 2016 World Food Prize for his work in addressing Vitamin A deficiencies. Without Vitamin A, children are more likely to develop entirely preventable blindness. Working with people in Uganda’s poor, rural areas, Mwanga set about substituting, at scale, white sweet potato – which is low in Vitamin A – with a Vitamin A-rich alternative. In Ethiopia, Gebisa Ejeta was awarded the 2009 World Food Prize for his work on improving the food supply of hundreds of millions of people in sub-Saharan Africa by increasing the production of sorghum hybrids resistant to drought and the parasitic Striga weed. None of these projects would have been possible without governments supporting the research that lay behind them. But much more needs to be done. Research shows that investing an extra US $88 billion in agricultural research and development globally over the next 15 years could increase crop yields by 0.4% each year. This could save 80 million people from hunger and protect five million children from malnourishment. Africa is behind the curve on investing in research to improve agriculture outputs. Even though all 54 countries of the African Union have signed up to successive commitments – starting with the Maputo Declaration in 2003 – to increase their agricultural research budgets to at least 10% of their national budgets, few have actually done so. At the last count only 13 had met or exceeded the 10% target in one or more years since 2003. There’s an added problem. 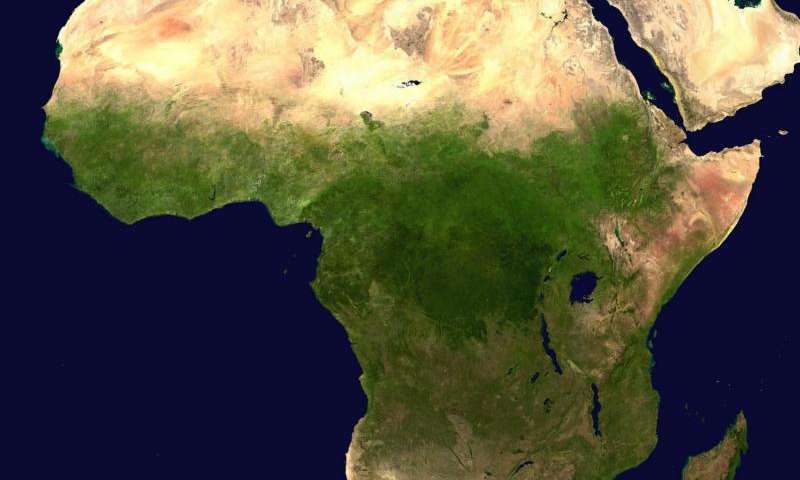 Africa relies on external capacity for most of its scientific research in agriculture. This has undermined its capacity to use science to deliver solutions for problems unique to Africa. This needs to change. Scientific research should be Africa-based, owned and led. Investment will be key – and so will solidarity among African scientists and governments. In addition to this, governments need to step up to the plate and increase their research budgets. Combined with the commitment to work together, the hope is that science will increasingly be used to create a more productive, efficient and competitive agriculture sector across the continent. This is critical to improve rural economies, where most people in Africa live.